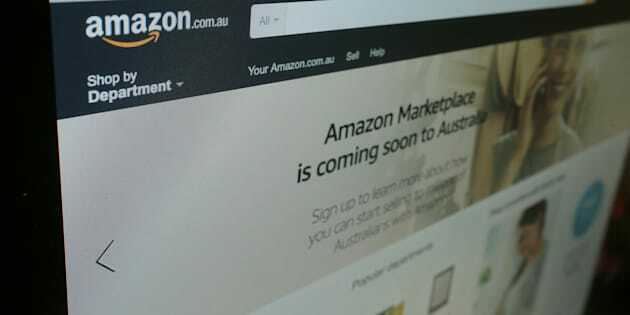 Amazon Marketplace Is Launching In Australia On Thursday. Sort Of. Don't expect the full range just yet. Amazon's online marketplace will open on Thursday. After months of speculation, analysis and hype, Amazon has confirmed its launch date for Australia -- and it's just around the corner. Amazon's Marketplace -- an eBay-esque online retail store featuring third-party sellers -- will go live from 2pm on Thursday, according to emails sent to retailers signed up to sell their products on the platform. This means it will be operational for the annual pre-Christmas discount shopping frenzy known as "Black Friday" on November 24 and the subsequent "Cyber Monday" online discounting event. But don't get out your credit cards just yet. In an email sent to Amazon Marketplace's third-party retailers and published by Life Hacker, Amazon described the launch as "an internal testing phase" which will only be available to "a small number of customers". "You should be prepared to receive orders from this point onwards," the email informs suppliers. "We are very excited to have you on board during this testing phase." You'll soon be able to get Amazon purchases delivered to your home. It's not clear who those customers might be or how they'll be selected, although it's likely they'll only be available for delivery within major cities, with Melbourne at the top of the list. In August, the south-east Melbourne suburb of Dandenong South became the site of Amazon's first Australian "fulfillment centre", the name of Amazon's warehouses used for distributing products to customers. Amazon has sent multiple shock waves through the retail market since rumours of its arrival in Australia began early last year. And these fears are not without foundation. The US behemoth's size will allow it to set super-low loss-making prices and undercut competition -- something the Australian Competition and Consumer Commission confirmed earlier this month was allowed under competition laws. Amazon's first Australian distribution centre in Dandenong, Melbourne. While Amazon's roll-out in Australia is expected to be slow, it will be wide-reaching. Amazon is no longer just an e-commerce website. The $US500 billion company has diverged into delivery services, fresh food, banking, television streaming and checkout-free grocery stores. It is in fierce competition with Google over voice controlled technology with its home assistant, Alexa, and now looks set to take on Ticketmaster for the sale of event tickets. It's latest ventures have also seen it increasingly roll out bricks-and-mortar stores. In Germany and the United Kingdom, the company now sells more non-perishable goods than any other retailer. Retail analyst Paul Broadfoot believes Amazon will put huge pressure on Australian businesses and see stores close across Australia. "When was the last time we went to a Video Ezy or Blockbuster? We don't go to them any more. All our Australian book retailers went through bankruptcy -- so we've got a bit of history to predict what will happen if we just put our head in the sand," he told HuffPost Australia. For more on how Amazon's entry into the Australian market could reshape the way we shop in 2018 and beyond, check out our in-depth analysis here.